IDEA assembles cages by means of the patented ‘Schnell System’ (Patented). 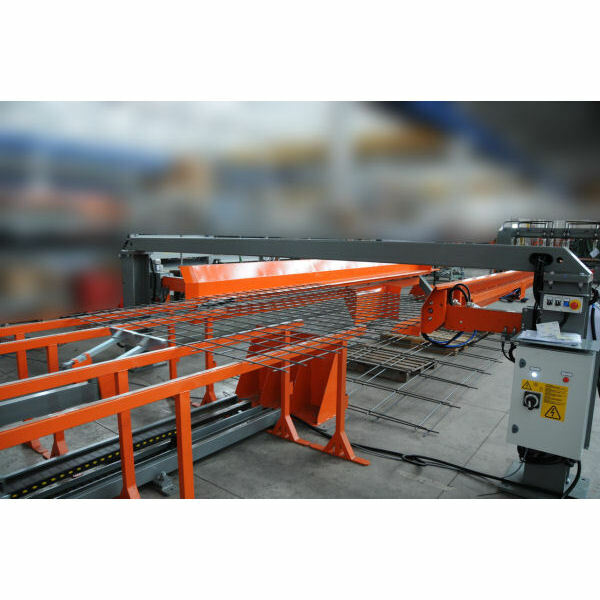 Using three thin longitudinal wires ,which may be welded to any point of the stirrup’s exterior surface IDEA is able to half-assemble lattice girders of stirrups of any shape and size. The half-assembled girder is now ready to be finished off by fixing the frame carrying bars. As the stirrups have already been welded at the correct distance, the carrying bars may be only tied every 5 or 6 stirrups. – high quality standards: the girders obtained with this system are far more precise and stiff than their traditional counterparts and they do not face any risk during transport. 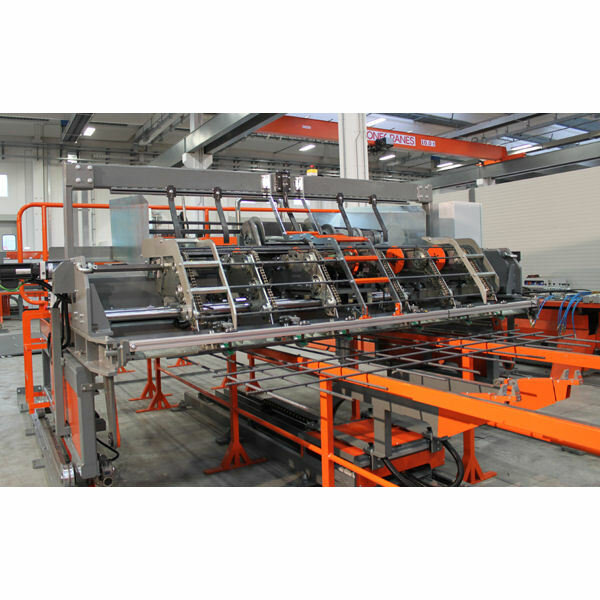 Mesh welding machine for the production of reinforcing mesh, engineered, special, heavy and 3D (bent, precast) mesh working with pre-cut wires or bars up to Ø 25 mm (#8). 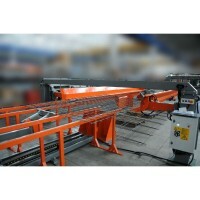 This mesh welding line is ideal for the production of both light (Ø5 x Ø5 mm) and heavy meshes (Ø20 x Ø20 mm). Driven by digital electric servomotors. Het concept, om elementen te lassen, is verder door ontwikkeld. Nu is er een automatisch opvangsysteem ontwikkeld. 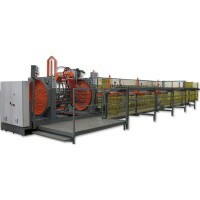 Dit is redelijk vergelijkbaar met wat in de grotere mattenlasmachines wordt toegepast. Alleen is het nu geschikt voor de Multi Assembler. Door de dwarsstaven automaat achter de Multi Assembler te plaatsen wordt een geautomatiseerd proces gecreëerd. Maar tevens wordt de flexibiliteit niet of nauwelijks veranderd, doordat de dwarsstaven automaat kan worden verplaatst. 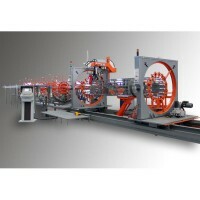 Machine for the production of cylindrical cages with variable pitch welded spiral wrap; max cage Ø 1600 mm. 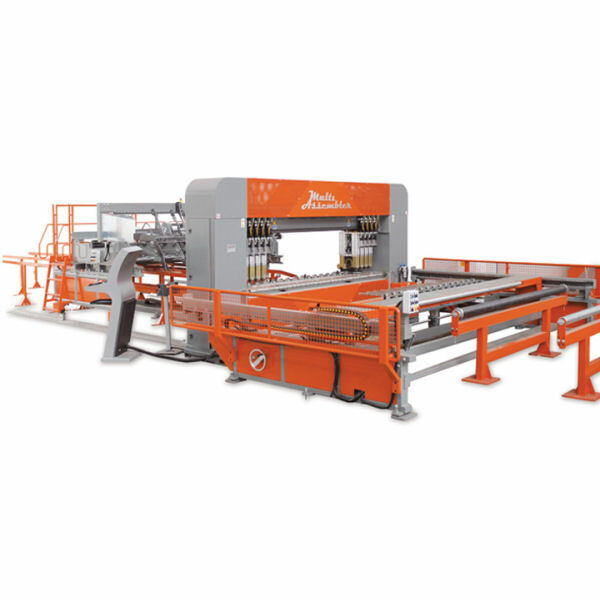 High productivity and flexibility is guaranteed by the configuration of the machine and by the fully automatic welding unit SAF 3000. 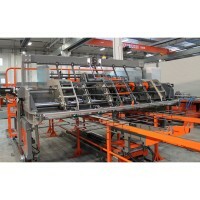 It is also possible to produce on the machine square or rectangular cages and cages with the bars bent on the end (90 °bends, bottle necks and pointed). 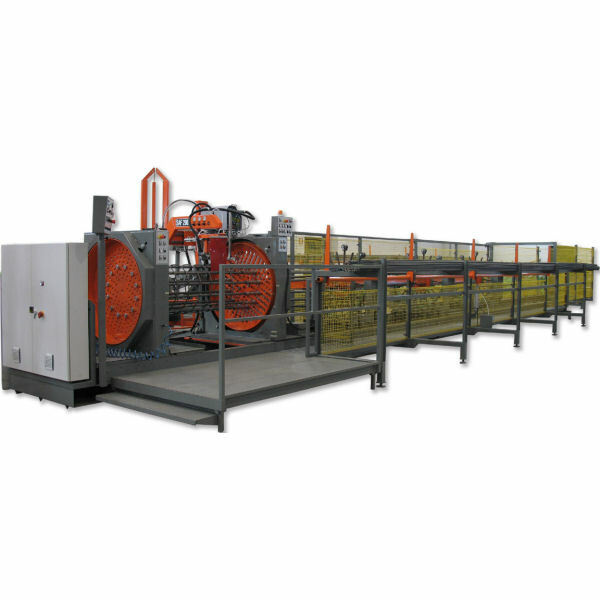 Cage making machine for the production of round cages with welded spirals and pre-set pitch; max. cage Ø 1600 mm. 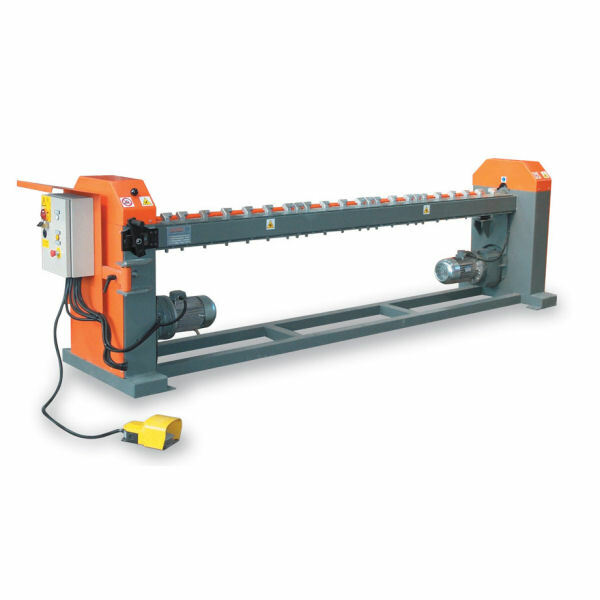 The machine is characterized by a reduced longitudinal length. 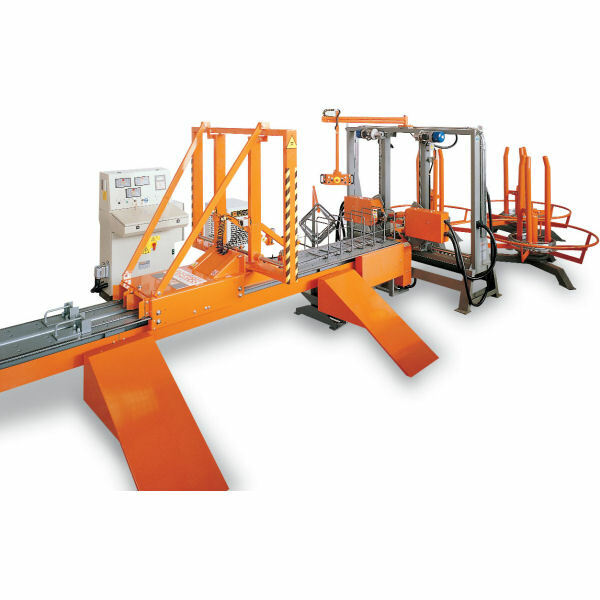 The welding process is performed by a mobile unit and the bar loading zone is a telescope, for this reason, during the welding operation, the length decreases while the welding head moves forward. Automatic mesh bending machine, equipped with double gearmotor, fast fitting pins. – ‘KS31’ electronic digital programmer which allows adjusting bending angles. Electromechanical equipment for cutting of reinforcement mesh. 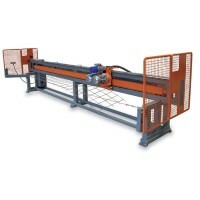 It cuts in two directions thanks to the two kW 3 cutting motors, a kW 0.75 press motor and a kW 0.55 feeding motor. 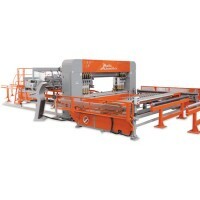 – Rubber inlaid mesh-pressing beam.